Born and raised in New Orleans, MARGARET WILKERSON SEXTON studied creative writing at Dartmouth College and law at UC Berkeley. She was a recipient of the Lombard Fellowship and spent a year in the Dominican Republic working for a civil rights organization and writing. 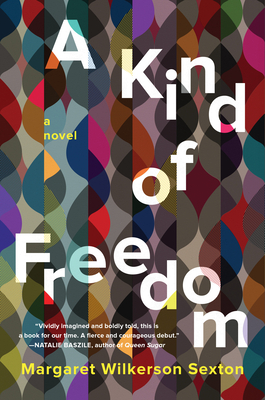 Her debut novel, A Kind of Freedom, was long-listed for the National Book Award, and her work has been nominated for a Pushcart Prize. Her work has been published or is forthcoming in The New York Times Book Review, Oprah.com, Lenny Letter, The Massachusetts Review, Grey Sparrow Journal, and other publications. She lives in the Bay Area, California, with her family.